Featured by Apple & Others! 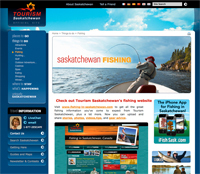 The App Door has recently launched their iFish Saskatchewan app. Available for the iPhone and iPod Touch, the app features detailed fishing information on over 500 lakes, ponds and reservoirs in Saskatchewan, Canada. "You can easily find where, when and how to fish in Saskatchewan" said Randy Chamzuk, President of The App Door. "There's something for anglers of all ages and skill levels." With just a few taps you can simply search for lakes by name or proximity search within a certain area around you or a place you're visiting. Once you view a lake, a variety of information is readily available including; a summary of catch limits, fish species, location map, weather conditions, depth charts and a lunar fish calendar for the best time to fish. It even contains Saskatchewan's 2011 Anglers Guide that is viewable without a cellular connection. The concept is based on the popular iFish Alberta app, which has been available since October and has recently been featured on the App Store in "Apps for the Great Outdoors." It reached the number one paid sports app in all of Canada, and still holds a top position today. 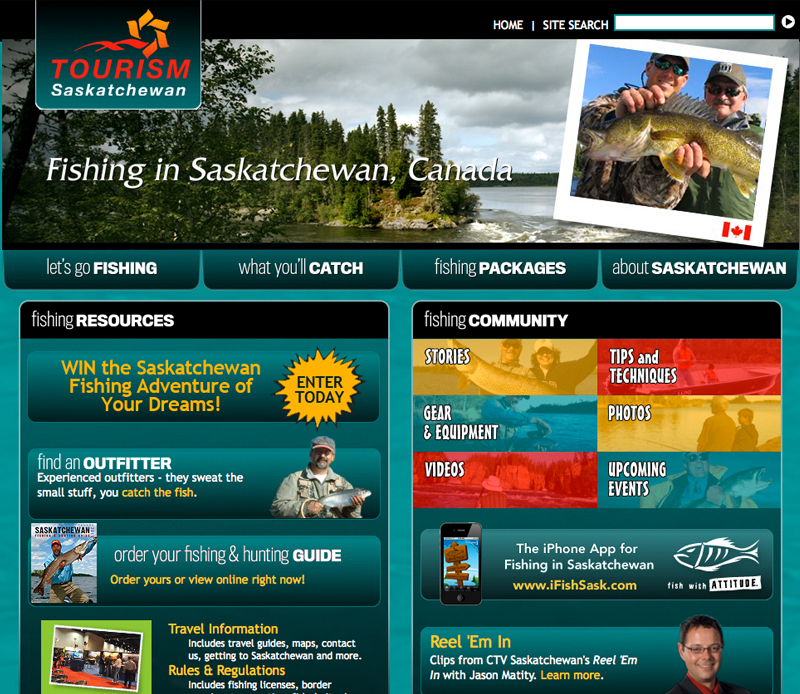 Amazingly, both iFish Saskatchewan and iFish BC, which also recently launched, currently rank in the top twenty. The App Door partnered with Tourism Saskatchewan allowing detailed information to be found for member outfitters throughout the province. 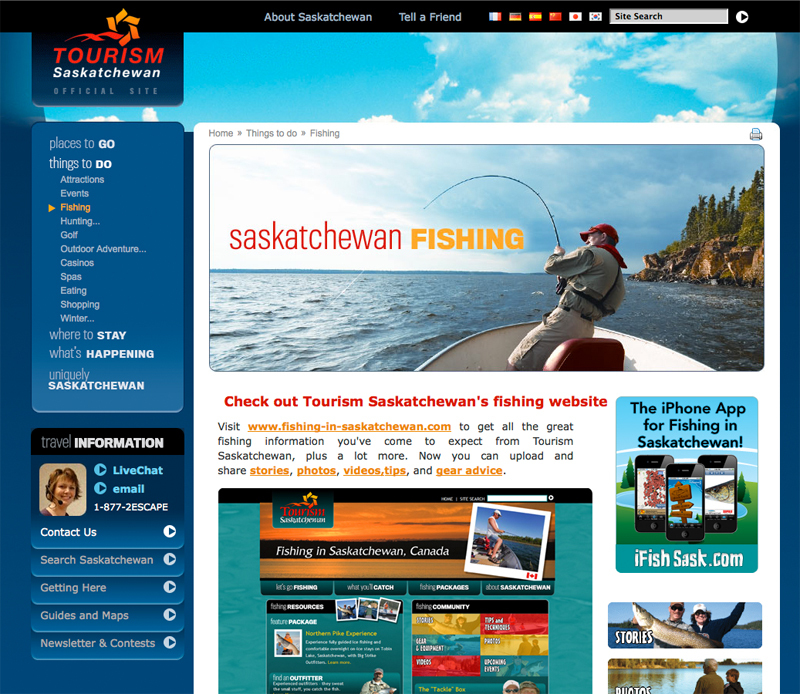 Tourism Saskatchewan comments "We think anglers from near and far will find iFish Sask both handy and convenient. And we are pleased to provide this service to our members – yet another way consumers can find out about their Saskatchewan fishing outfitting business." iFish Saskatchewan contains some great extras too; images, descriptions and angling techniques for many fish species found in Saskatchewan waters, while videos and diagrams show how to cast, clean fish, and tie knots. An ever updating Essentials area is full of references, links, and contacts. According to Chamzuk, one feature that is very popular with anglers is the ability to give live reports on the lakes within the app. Daily feedback is being received about fishing activity, water conditions, and successful baiting techniques. 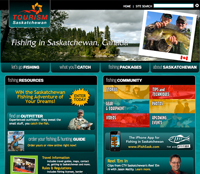 It can be accessed from the app or the iFishSask.com website. Stay tuned! We'll update this page as soon as more articles, videos, interviews and client testimonials become available. You can see the news from our iFish Alberta App on our website. View / Add Lake Feedback! ** Click expand to view full size and in HD!